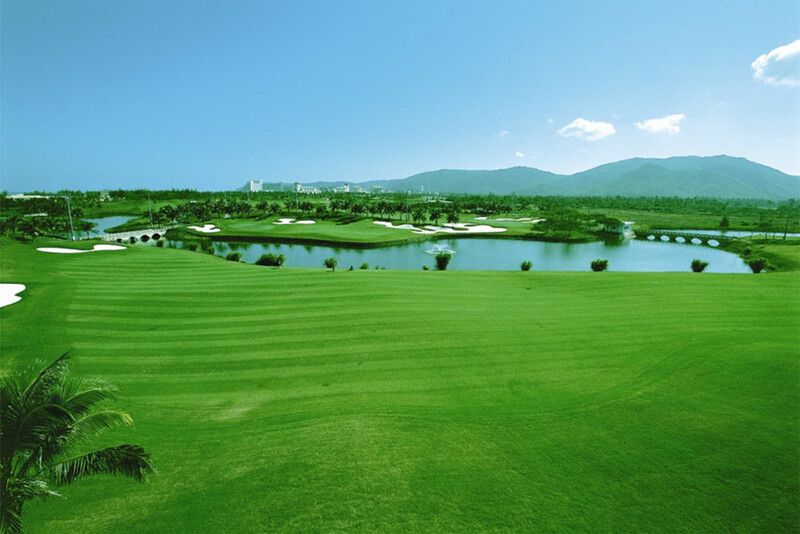 Designed by Robert Jones II with 18 holes, 6219 years and opened in 1998, Sanya Yalong Bay Golf Club is one of China’s Top 100 Clubs. Located about walking distances from most resorts on Yalong Bay Sanya including Sheraton, Marriott, Hilton & Ritz-Carlton, Sanya Yalong Bay Golf Club is the only club which has night course (for min. 8 persons/group, 9 holes only). American master-designer, Robert Trent Jones enjoys world-class reputation. He said that his course concept for the first 18 holes at Yalong Bay Golf Club was designed to create a links land championship resort course., thus he expected that Yalong Bay Golf Club can be a preferred golf destination both for amateur and professional golf tournaments. 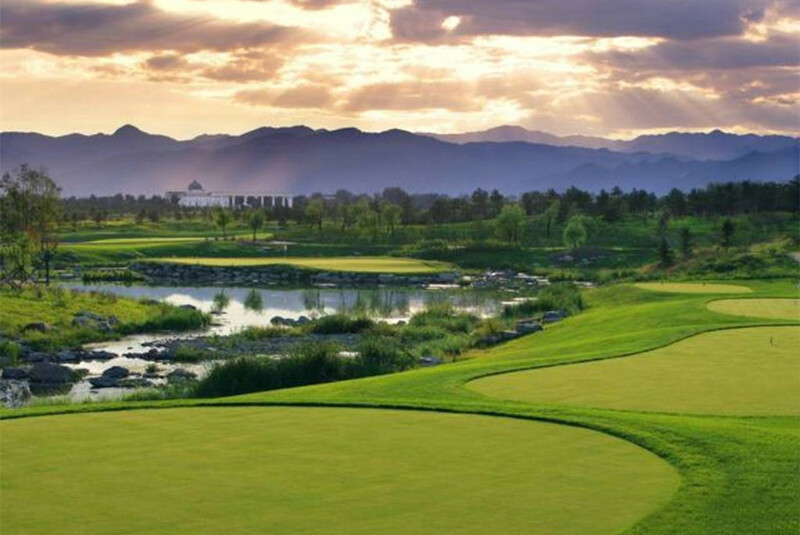 The 7,189 yard, 18-hole design (nine with lights) covers an area of 120,000 square meters. It’s dotted with 98 deadly bunkers and streaked with a winding river. Each fairway has five tee boxes and with its large stretches of grass. 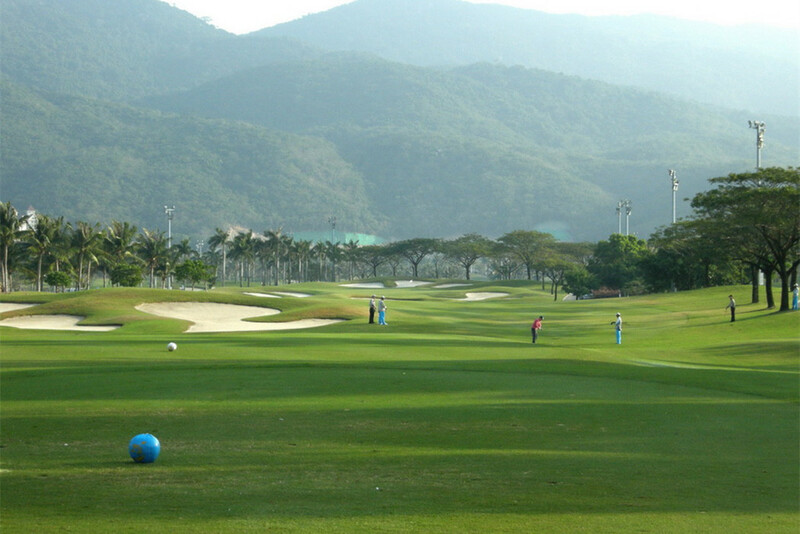 The course, shaped like a dragon’s claw, is hemmed in by adjacent green hills and beautiful Yalong Bay, all combining to form a beautiful landscape. 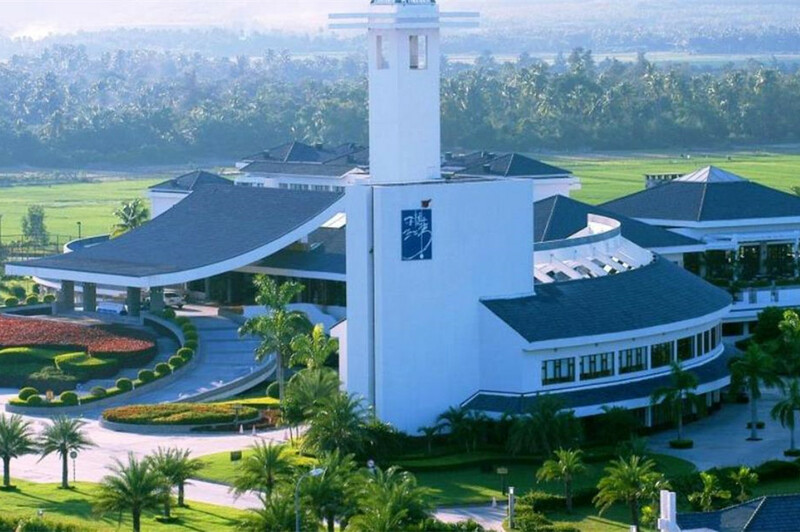 Where is Sanya Yalong Bay Golf Club? 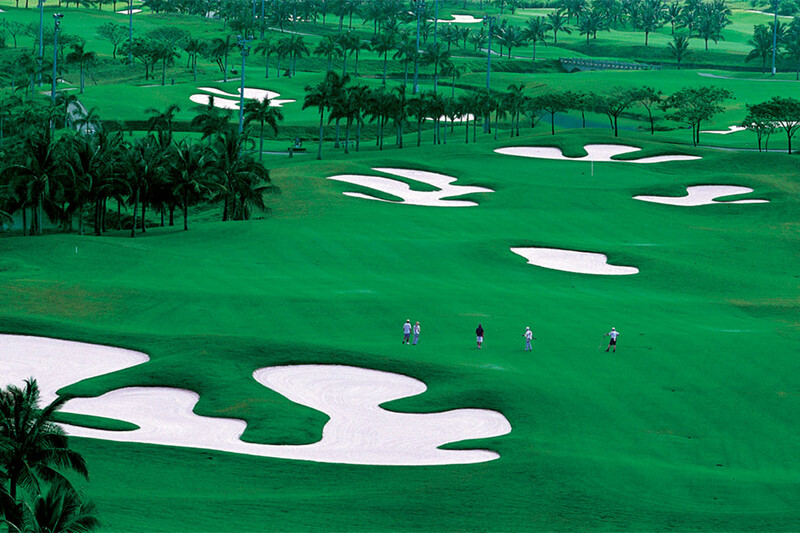 Yalong Bay Golf Club is located at Yalong Bay, the best in Sanya Hainan Island, which is often regarded as China’s version of Hawaii. 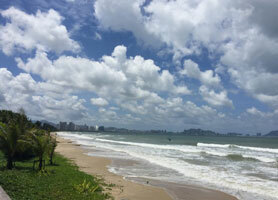 It is 10 minutes walking distance from MGM Grand Sanya, Sheraton Resort Yalong Bay, Marriott Resort & Hilton Resort. 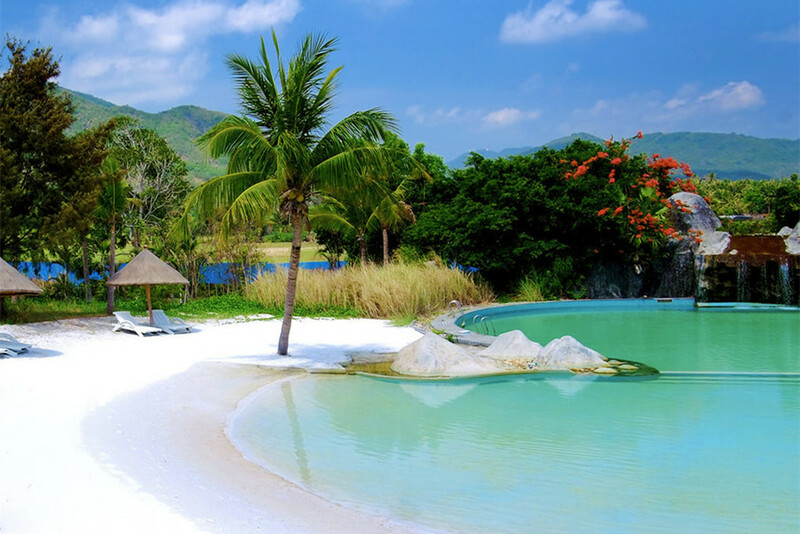 Less than 5 minutes driving from other hotels on Yalongbay Sanya, 30 minutes driving from hotels in Dadonghai Bay and 40 minutes from Sanya Downtown. 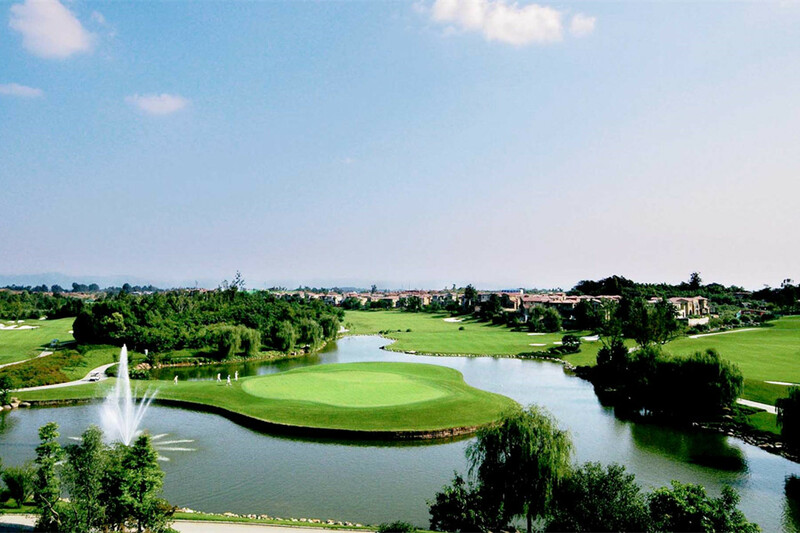 Green fee (18 holes), caddie/person, cart/two persons, insurance, service charge. Locker and Round trip transfers provided by Yalong Bay Golf Club. Please ask the bell boy to call Yalong Bay Golf Club for free pick up at least 30 minutes before your tee off time.